We put a lot of hard work into the content we publish. It takes planning, loads of time, and sometimes a lot of courage too. Unfortunately, much of that effort is wasted because we often publish our content in one place, share it a few times, and just dust off our hands hoping for the best. All of us, myself included, are missing out on opportunities to repurpose the content we work so hard to create. There are many different ways to repurpose the content to benefit our brands l, including growing our email lists, expanding our social reach, and even making more money. 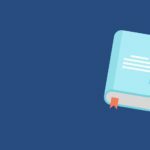 In this post, I’ll be sharing a number of ways that we can turn one piece of content into several. Back in the day, repurposing content was as easy as copying content you’ve already written and posting it elsewhere, like article directories. Then, when Google caught onto that, people (myself included) used “article spinning” software, which was a way to create “unique” content by taking a published article, and replacing a number of words with synonyms so it was different in the eyes of Google. Well, of course, Google caught onto that and now article spinning is not something I’d recommend. It was gray-hat to begin with, and like most things, your time should be spent actually doing something that provides value. Not something that is primarily meant to game the system. With that said, some people still feel weird taking a piece of content and repurposing it elsewhere. But in my eyes it’s totally okay, especially when you consider that people like to absorb content in different ways. Think about it this way: If you don’t repurpose your amazing content, some people may never end up reading, watching, or listening to it. It’s smart, and yes, I could do it more too. The rest of this post is for me as much as it’s for you. The most common form of content we publish, generally, is blog posts. So, let’s start with those. How can we take a piece of written content and turn it into something else? Step 1: Write a blog post. Step 2: Record yourself reading the blog post. A bonus audio file for your subscribers. A downloadable lead magnet or opt-in bonus to grow your email list. Jeremy and Jason from Internet Business Mastery had both a podcast and a blog, each with exclusive content, until one day they started reading their blog posts and promoting them as “Audio Blogs” on their podcast feed. What happened next? Their download numbers increased, and they actually provided unique content to those who listened only to the podcast! Some even said they didn’t even know they had a blog in the first place! Step 2: Highlight major points and call-outs in a visual representation. A bonus or lead magnet for subscribing to your list. A shareable image that can be promoted on social media and drive more traffic back to your post. Infographics still continue to provide a lot of value to both content creators and readers. With how visual our social media feeds are today, this is a great way to create something that is much more likely to be shared. Here’s an awesome guide by Neil Patel from Quicksprout on creating visually compelling content, along with some amazing sharable infographics at the start of the post. Step 2: Find two or three short and sweet quotables phrases. 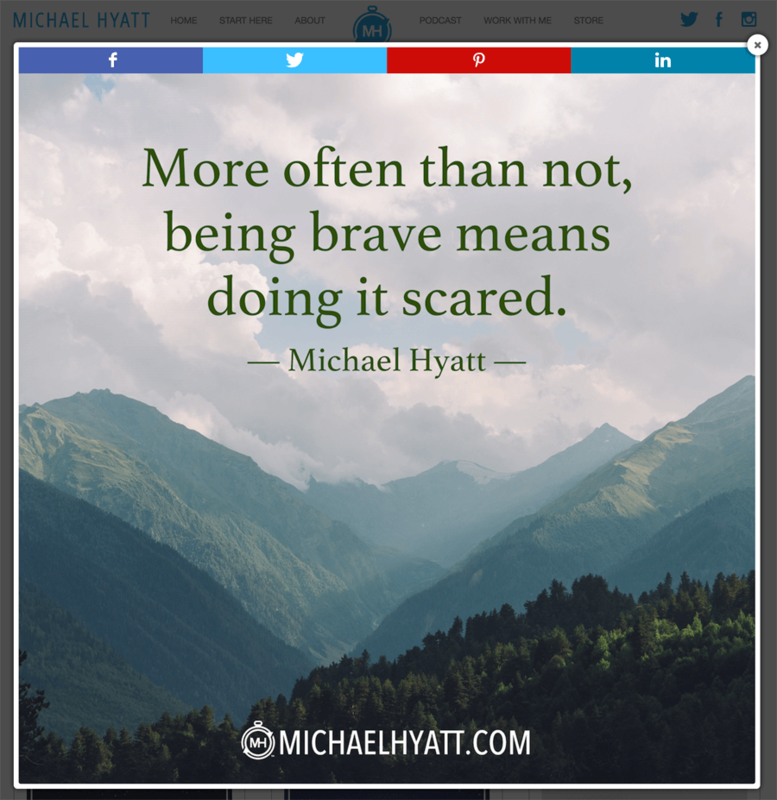 Step 3: Use a tool like Canva to put that quote into a nice shareable graphic. Step 4: Post on Twitter, Instagram, Facebook, and other social media platforms you’re on, with a link back to your website. Step 2: Create slides based on talking points and visuals within your post. 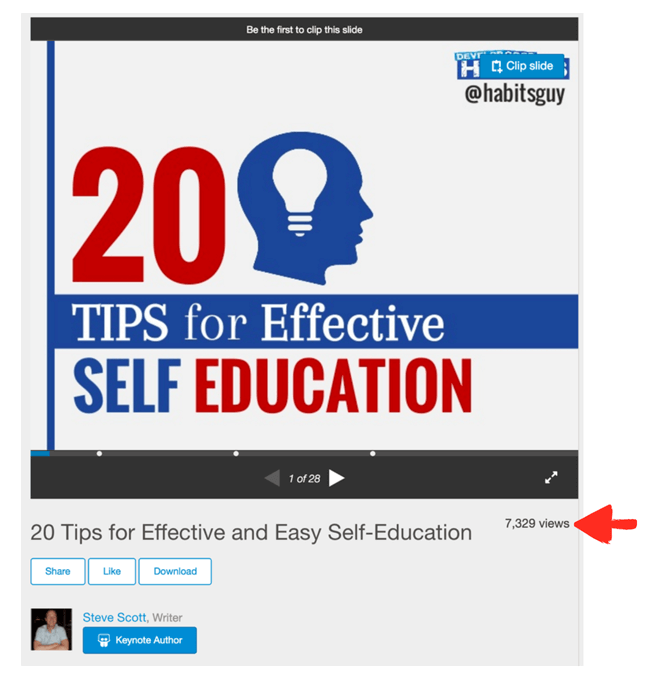 Step 3: Publish on SlideShare.net. With your blog posts, especially if they are well crafted and have visuals, it won’t be too much extra work to put those visuals, main talking points, and quote images onto slides and publish on SlideShare.net. Step 2: Go on Periscope, Facebook Live, Blab, or other live streaming platform. Step 3: Use the blog post as talking points to start a discussion and interact with your live audience. Make sure to mention any calls-to-action from the post during the live stream. Last year, I used this exact strategy to promote this post, which highlights five success stories from SPI readers and listeners. It was awesome because the content was already outlined for me (which solves the common problem of not knowing what to talk about), it was fun to ask questions and interact with people in real time, and I was able to drive a lot of traffic back to the blog post. And you can also record the live video and put it elsewhere such as YouTube for even further reach and repurposing. Sometimes one post isn’t enough to cover a particular topic, so we create a blog post series consisting of two or more posts published consecutively. These are great, but usually take more effort because of the sheer length and depth we go into, which makes it even more of a shame that they aren’t repurposed and utilized in other formats! Step 1: Publish a complete blog post series. Step 2: Turn each post in the series into a chapter in a book. Give it away as a lead magnet. Give it away as a bonus. Many bloggers, including me, have done this successfully in the past. My first book, an ebook study guide self-published for my audience as GreenExamAcademy.com back in 2008, was actually a compilation of several blog posts that I published and offered for free on the site. I sold this for $19.95 (and then later $29.95), and this is the ebook that changed my life and started my entrepreneurial journey. 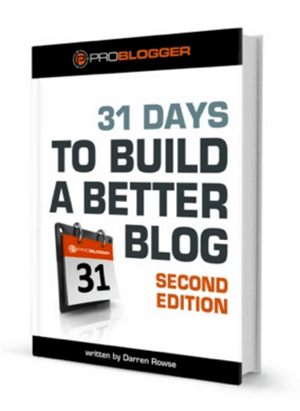 Darren Rowse from Problogger.net created a series of posts called “31 Days to Build a Better Blog,” and posted thirty-one blog posts in thirty-one days, each consisting of a specific topic a blogger can use to grow his or her following and improve one’s blog. After his blog post series drove massive traffic to the site and helped loads of people, Darren put the thirty-one posts together and sold them as an eBook, which you can see is still for sale and now in its second edition. Now, you might be wondering, why would anyone pay for something they can already get for free on a website? And you know what, I was wondering the same thing, which is why I almost didn’t pull the trigger back in 2008 when I was creating my book. I didn’t see the value in it at first. But when you really think about it, there’s a lot. For one, it’s convenient, and people will pay for convenience. It’s a lot easier to flip through a book and have something tangible to purchase about a particular topic rather than having it live on a website that can be distracting and not always the best reading experience. On a similar note, it seems more legitimate l because it’s packaged into something that can be purchased on its own. For many people who purchased my study guide, for example, even though they could get the same content for free, they felt the need to pay for that particular content in order to feel there was “skin in the game” and some transaction (an exchange of money for a product) that would make it more likely for people to actually follow through on that content. And finally, if you provide enough value in your free blog post series, people will want to find ways to pay you back for the help you’ve given them. When I surveyed my audience at GreenExamAcademy.com after my first month of sales, I found that 25–30 percent of respondents actually purchased the book even though they didn’t need it, because they had already passed the exam using my free content. When I asked why they purchased the book, they said, “because you finally gave me a way to pay you back for what you did for me.” Pretty awesome, and my first taste of what happens when you truly serve your audience first, and how that can reap benefits for you later. Not all blog post series have to be sold though. They can be turned into a lead magnet that you can use to drive email subscriptions. Back in 2009, I published a blog post series about how to write an ebook, very much an answer to readers’ questions about how I wrote the ebook study guide I mentioned earlier. It turned out to be a ten-post series, covering, from start to finish, how to write, publish, market, and automate an ebook. In 2010, when I finally started building an email list, I looked for an easy way to create a lead magnet, an incentive of some kind that I could give away in exchange for an email address, and I used the blog post series to do that. Most of the content was already written. It was just a matter of packaging it and making it look great. This is what eventually became Ebooks the Smart Way, which has now been downloaded more than 150,000 times since 2010 and, to this day, continues to grow my email list. If you’re interested and you haven’t checked it out yet, head on over to eBookstheSmartWay.com to download it for free! Six years later, and it’s still working for me. And you know what? Most people never even know it was part of a blog post series, and although some people do recognize that, I’ve never received one complaint about it. Step 2: Use the content in the series to outline a presentation. Step 3: Present in a live webinar or presentation to increase the size of your list or even use this to drive sales for a related product (one of your own, or an affiliate product you promote). Blog post series are meaty, and you can use a lot of that content in a live setting that’s usually more formal than a casual live streaming platform like Periscope, Blab, or Facebook Live. This takes a little bit of extra work, especially if you’re going to be producing slides and honing in on a pitch, but it can definitely be worth your time. There’s a lot in this post, which is great, because you have many options to take your original blog content and turn it into something else. Don’t let them overwhelm you though, because I know that too many options will sometimes lead to taking no action at all. If you publish blog posts on your site, pick just one of these strategies (yes, just one!) and then share a link to both your original content and the repurposed content in the comment section below. It’ll be fun to see how the community responds! It’s been years since the last reader challenge, and those who are old school SPI audience members have been asking for them to come back, so yes—they are back—and this is the first of many to come. Cheers, happy repurposing, and thanks again for your support!